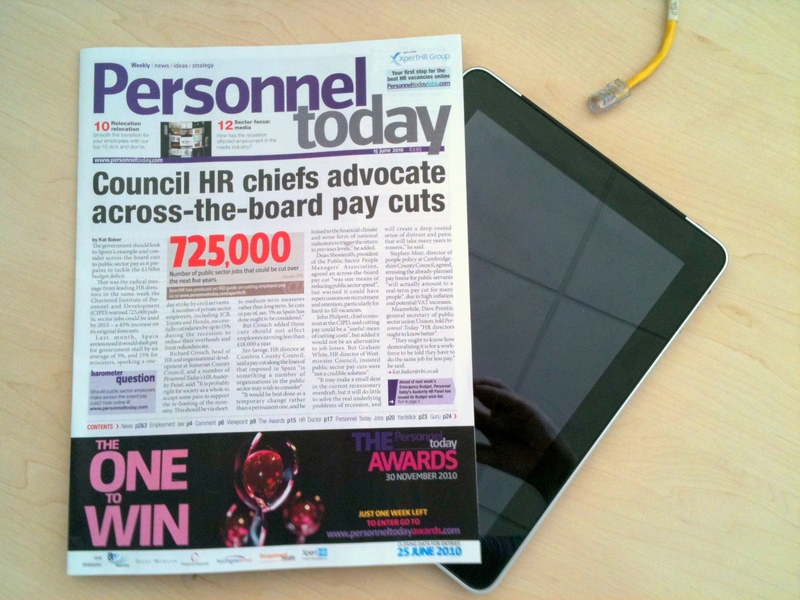 Just popping my head above the work parapet a second to acknowledge the story that Personnel Today is going online only. Now, obviously there are sad elements to this – there’s a net loss of eight jobs in this transition, which is never happy news. But on the other hand, I’m really looking forwards to what a very skilled web team can do with increased numbers and none of the tension that comes with serving two masters, as the inevitable pull of the print deadline pulls at their attention. And this is the first time we’ve transitioned a title from print/web hybrid, to a pure play web product. This news is the beginning of a story, not the end of one. And it’s very much a “horses for courses” situation round here right now. The story that *Estates Gazette* just had [a big investment in a ](http://www.estatesgazette.com/blogs/focus/2010/06/egs-redesign-launch-event-in-pictures.html)*[print ](http://www.estatesgazette.com/blogs/focus/2010/06/egs-redesign-launch-event-in-pictures.html)*[redesign](http://www.estatesgazette.com/blogs/focus/2010/06/egs-redesign-launch-event-in-pictures.html) didn’t get as much play….